Smart furniture maker Ori was spun out of the MIT Media Lab. By Madeline Bilis·	 7/13/2016, 11:36 a.m. The furniture of the future is here, and it’s robotic. 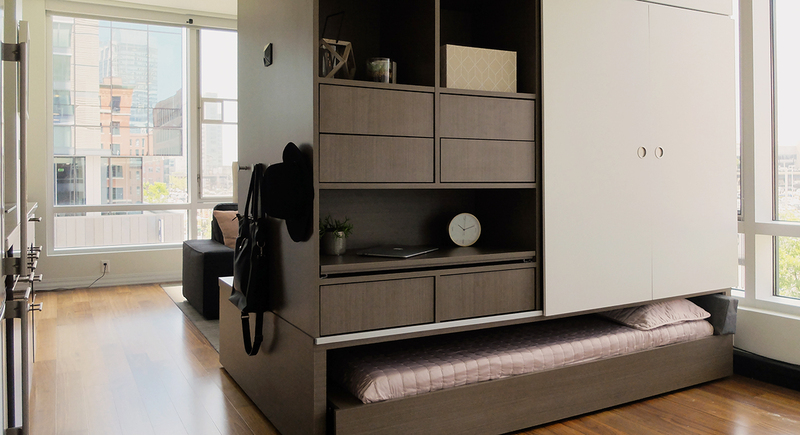 A new line called Ori, derived from the Japanese word “origami,” is the answer to micro-living efficiently. Much like the art form of folding paper, the furniture line was created to be reconfigured. “The idea is to bring technology to a space to make it much more functional and much more intelligent,” says founder Hasier Larrea. To do that, Ori combines a few apartment staples into one piece of furniture. 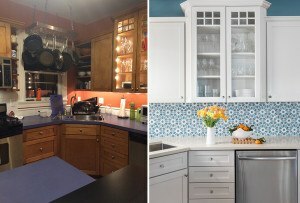 It rolls a storage unit, a workspace, and a sleeping area into one unit with shelving, a desk, and a pull-out bed that comes in either full or queen size. Each part of the system can be collapsed when it’s not in use, so at any point in time, Ori could act as walk-in closet, an office, or a bedroom on-demand. Larrea explains that people moving to cities face the challenge of a lack of space. 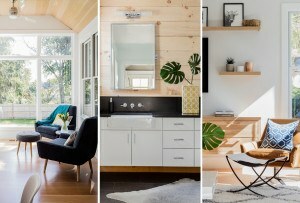 His team set out to optimize spaces like small apartments and micro units, which typically measure up to around 300-square-feet. The system attempts to make these spaces feel bigger by reconfiguring them. The point of Ori, though, is that it’s supposed to be effortless reconfiguration. This kind of easy mobility could come in handy, especially during a time when micro-living is on the rise. 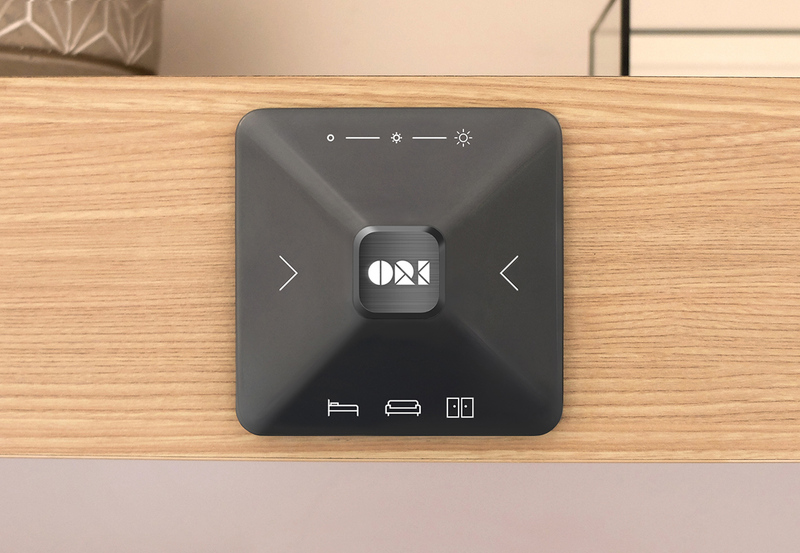 Users operate Ori through an interface on the wall of the unit, which is also meant to integrate with other types of smart devices, like thermostats and lights. Larrea and his team began working on the technology for Ori while researching for MIT Media Lab’s CityHome project. Last year, he decided to turn their findings into a company, and Ori was born. 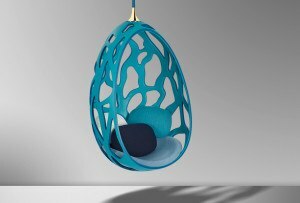 MIT engineers took care of the technology of the furniture, and then teamed up with designer Yves Béhar to conceive the look of Ori units. “Beyond the comfort and life-enhancing varied accommodations, Ori creates financial value for renters or owners; a studio becomes a one bedroom, for example,” says Béhar. This is possible through Ori’s function as a room partition. The entire structure is built on wheels, and can glide from one part of a room to another. The rolling action doesn’t require tracks or any invasive construction. 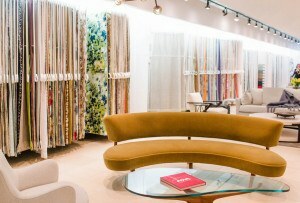 Larrea describes it as furniture that’s assembled and installed like a line from IKEA. He adds that the furniture is also customizable, and has a choice of finishes, materials, and colors in addition to its functionalities. The Cambridge-based company has gotten a head start locally by hooking up with real estate developers Boston Properties, Skanska, and Samuels & Associates. Before Ori officially puts its products on the market in 2017, pilot programs are set to launch downtown, in the Seaport, and in Cambridge to test the systems with real renters.